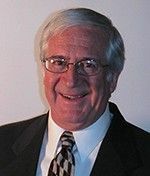 Dennis Wylie is an internationally recognized human factors expert concerning driver error; inattention and improper lookout; driver fatigue; car, truck and bus driver skill and knowledge requirements; driver and motor carrier standards of care; hours of service violations; circadian rhythms; sleep debt; impaired vigilance, alertness, decision making, reaction time, and control responses. The nature and relative importance of the various causes of driver fatigue, and the specific effects of fatigue on driver performance. The human factors engineering and scientific aspects of driving safety, including driver skill and knowledge requirements for the various classes of vehicles, the basis of the Commercial Driver License (CDL) system, and the safety responsibilities of truck and bus drivers and motor carriers. • a forensic human factors analysis of each particular aspect of the driver's performance that may have been a cause of the accident. D. Wylie Associates provides forensic human factors analysis and expert witness services for defense and plaintiff's counsel, insurance companies, the transportation industry, and government departments of transportation. D. Wylie Associates is a consulting firm established in January, 1997 to provide transportation human factors research, driver fatigue consulting, and expert witness services for defense and plaintiff's counsel, insurance companies, the transportation industry, and government departments of transportation. D. Wylie Associates has served the U.S. Department of Transportation, Transport Canada (Canada's counterpart to the US Department of Transportation), the California Department of Education, and defense and plaintiff's attorneys. Dennis Wylie is the firm's principal consultant. Collaboration as needed to suit each client's needs is conducted with colleagues in the fields of physiology, medicine, and sleep disorders.